The Dhammapada is one of the primary collections of teachings attributed to Siddhartha Gautama, who is revered as the "Shakyamuni Buddha" and considered founder of the Buddhist traditions. 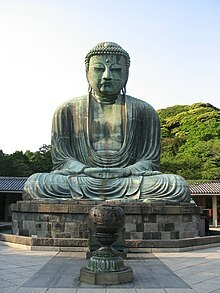 It contains 423 verses in 26 categories, which, according to tradition, are answers to questions put to the Buddha on various occasions, most of which deal with ethics. Hostilities aren't stilled through hostility, regardless. Hostilities are stilled through non-hostility: this, an unending truth. Alternate translation: Phenomena are preceded by the heart, ruled by the heart, made of the heart. If you speak or act with a corrupted heart, then suffering follows you — as the wheel of the cart, the track of the ox that pulls it. Alternative translation: All that we are is the result of what we have thought: it is founded on our thoughts, it is made up of our thoughts. If a man speaks or acts with an evil thought, pain follows him, as the wheel follows the foot of the ox that draws the carriage... If a man speaks or acts with a pure thought, happiness follows him, like a shadow that never leaves him. Alternative: "He abused me, he beat me, he defeated me, he robbed me,"— in those who harbour such thoughts hatred will never cease. "He abused me, he beat me, he defeated me, he robbed me," — in those who do not harbour such thoughts hatred will cease. For hatred does not cease by hatred at any time: hatred ceases by love, this is an old rule. Those who are in earnest do not die, those who are thoughtless are as if dead already. 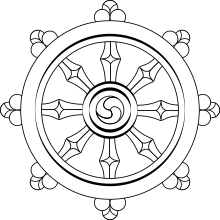 Alternative: Earnestness is the path of immortality (Nirvana), thoughtlessness the path of death. Those who are in earnest do not die, those who are thoughtless are as if dead already. Alternative: It is good to tame the mind, which is difficult to hold in and flighty, rushing wherever it listeth; a tamed mind brings happiness. Translator: Anonymous. Verses published by the Cunningham Press, USA; reissued by the Theosophy Company, Bombay, 1957. Better it is to live one day wise and meditative than to live a hundred years foolish and uncontrolled. Alternative: All men tremble at punishment, all men fear death; remember that you are like unto them, and do not kill, nor cause slaughter. Alternative: What laughter, why joy, when constantly aflame? Enveloped in darkness, don't you look for a lamp? Alternative: Look at the beautified image, a heap of festering wounds, shored up: ill, but the object of many resolves, where there is nothing lasting or sure. Happily the peaceful live, discarding both victory and defeat. 206. Glorious is it to see the Noble Ones; their company at all times brings happiness; by not seeing the spiritually ignorant, one will always be happy. 208. Therefore, one should follow the steadfast, the wise, the educated, the self-reliant, the dutiful and the noble. Even as the moon follows the path of the stars, so ought one to follow such a virtuous and highly intelligent man. One, who controls his anger when aroused, is like a clever driver who controls a fast going carriage; the others are like those who merely hold the reins. Alternative: "All created things perish," he who knows and sees this becomes passive in pain; this is the way to purity. If all of the New Testament had been lost, it has been said, and only the Sermon on the Mount had managed to survive these two thousand years of history, we would still have all that is necessary for following the teachings of Jesus the Christ..... Buddhist scripture is much more voluminous than the Bible, but... if everything else were lost, we would need nothing more than the Dhammapada to follow the way of the Buddha.